Jonathon Swift wrote that in 1720, so it’s easy to see that today’s worries have a long and honored past in the minds of intellectuals. 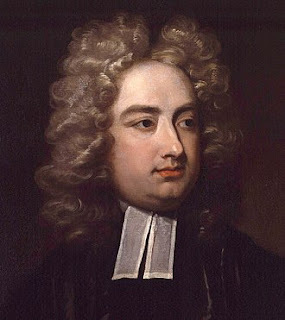 Swift, you may (or may not) remember wrote Gulliver's Travels and is regarded by Encyclopedia Britannica as the foremost prose satirist in the English language. But that particular quote is far from satire. My take on it is that, while truth may limp, it somehow always crosses the finish-line, the tortoise that overcomes the hare. In fact that may be the very definition of truth—that it always shows itself in the long run. For the salvation of our species, truth is inevitable. Well, thank god for that. We now have been introduced to fake news that is demonstrably not fake and a new hybrid on the political marketplace called alternative truth. I was unaware that truth had an alternative. Perhaps Swift might get a chuckle out of that. Nearly 300 years ago in those horse-and-buggy days when Jonathon made the comment, to ‘fly’ meant like a bird. Little could he grasp the speed of today’s internet and access to newspapers by a click of the computer. Even in recent (pre millennial) times a print newspaper finally had to go to press and updates waited a day. My online subscriptions reload as I read them—much to my annoyance, but satisfying my need for currency. It’s no longer enough to be informed, we must be immediately informed. Staying current is its own kind of drug habit and I am a user, big-time. 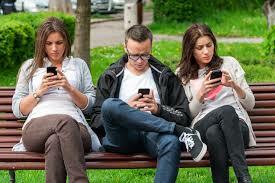 Perhaps you are as well, evidenced by those I see and bump into while they are glued to Facebook, Twitter or WhatsApp. We dare not be behind. We dare not fail to keep up with our 350 Facebook ‘friends,’ while having to make an appointment to see an actual friend over coffee. No time for that. So the gap widens, with falsehood moving at light speed and truth wandering along, dependent upon evidence. The Earth was not proven a sphere until about 300 years before Christ, but there remains a Flat Earth Society. That such a society still holds forth is not a matter of truth, but dogma—the truth has long been known, but the dogma remains, because it must be so or we would fall off the other side. More individuals throughout the world believe in doctrines that are proclaimed as true without proof than you would care to believe and more yet in opposing opinion as inherently evil. Simply look at the current evidence in politics. Republicans or Democrats are not simply of different minds on various subjects, they are evil at their core. But he was right, as was Jonathon Swift. So when you’re in despair over the world, look to the evidence. Yes, the gap between rich and poor is growing wider, but never in the history of mankind have so many been lifted from poverty. Yes, we in America have a problem with our schools, but across the globe 60% of girls complete a high-school education and that’s an enormous advance. Yes, overpopulation is killing the planet, but family-size worldwide is dropping dramatically and will soon decline even further. Yes, we face enormous environmental difficulties, but the technology is in place and moving quickly toward renewable energy sources. News cycles feed on terrors, disruptions and misery. We are drawn to those because they flood the news and humans fairly itch to be at the scene of the crime. Bad news is profitable, be it a Hollywood divorce or children starving in Yemen. But never in the history of the world have so few died in warfare. 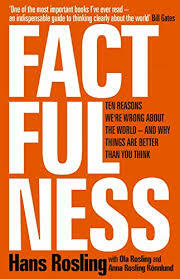 If you can’t get your mind around a truth that moves slowly and falsities that take your breath away, get a copy of Factfulness: Ten Reasons We’re Wrong About the World—and Why Things Are Better Than You Think, by Hans Rosling. I got it on my Kindle because Bill Gates said it was the one book everyone should read. Not that I’m a huge Bill Gates fan, but he was right, caught me at a weak moment and the book showed me the great wonder of light that burns in our daily darkness. I seldom flog a book, but recommend you get a copy.